After college, I rented a room near my first teaching job from a woman and her grown daughter. Their elderly grandmother's home was next door and an arbor, which still produced concord grapes, divided the back yards. One morning, we watched as the grandmother walked outside and examined the ripening fruit. She made jam from them every fall but, for some reason, no one else was at all enthusiastic about the work and they suggested that if I went over to help, she would reward me with a few jars for myself. How exciting...I didn't even know regular people made jam...so, I agreed to be her helper. A few days later, the grandmother and I met in the backyard and both of us removed large bunches of ripe grapes and put them in a basket. We hauled our harvest up the back stairs and went inside the wonderfully old clapboard...it was like walking into the past. I was handed a handmade apron and shown the dozens of mismatched jars which we were going to use. The first step was to fill a big pot with water and bring it to a boil. We, then, immersed many of the jars and boiled them for five minutes. This was the sterilization process and we repeated it until all the jars were clean. 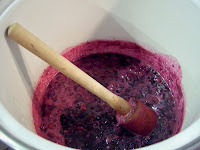 Meanwhile, some of the grapes were put in a second pot, sugar added and then pressed with very old potato mashers. The mixture was put on to simmer and the room quickly filled with the most amazing grape fragrance. While we watched and stirred, the grandmother talked about her life and how she had helped her mother make this same jam in the late 1800s...I felt like I was a part of history! 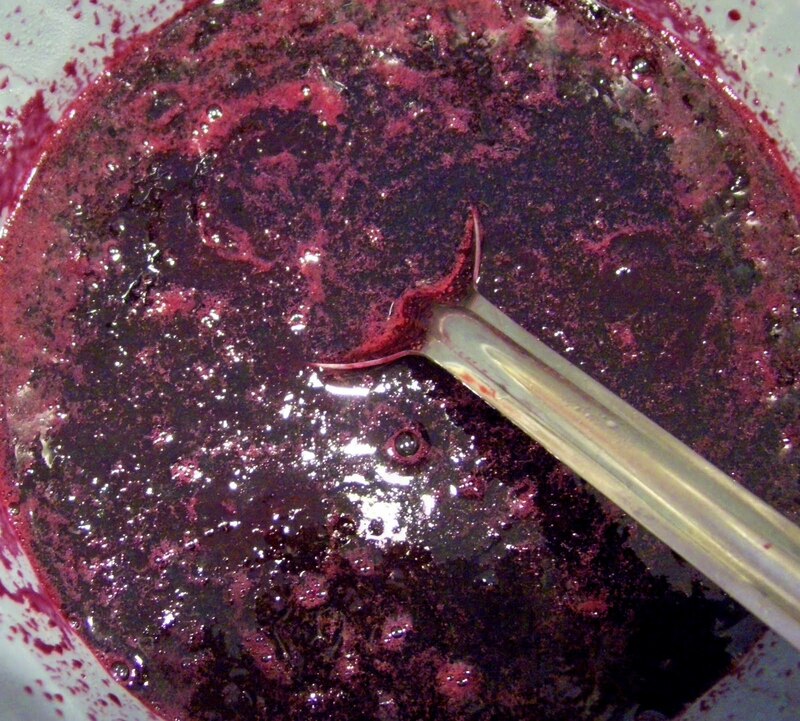 After the grapes had simmered long enough, we strained out the seeds, poured the dark purple sauce into jars and sealed them with melted wax. That was it. I stood back and looked happily at our three jars of jam. What a perfectly old-fashioned way to spend the morning. The grandmother pointed out, however, that we were not finished...the huge basket of grapes looked as full as it did when we came in. Needless to say, we worked all morning on those grapes and afterward, I went home tired and sticky, carrying my reward of grape jam that tasted better than anything. *Grapes have a natural pectin and the addition of commercial pectin products is not necessary. This old recipe only makes small batches and cannot be increased or the jam will never set up, which means it will be runny. 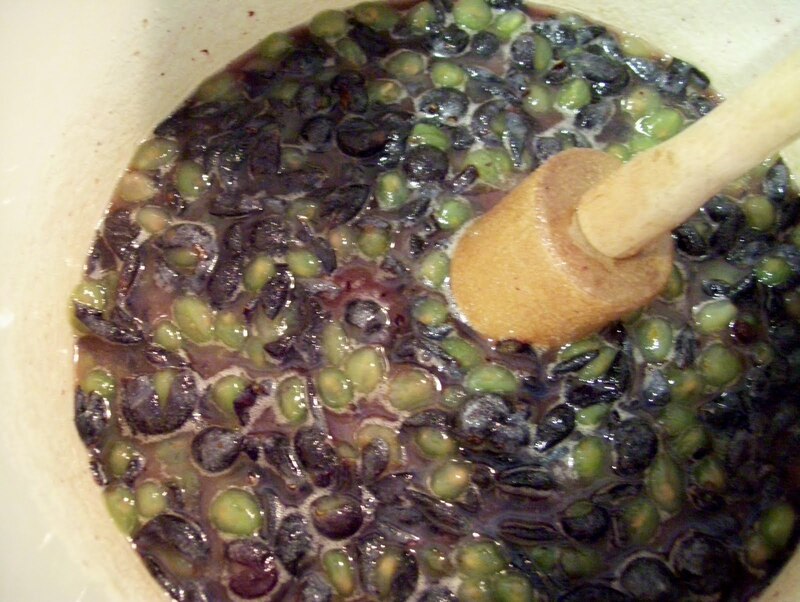 Mix sugar and grapes in a large pot. With a large spoon or potato masher, crush grapes. On medium heat, bring crushed mixture to a boil. Boil gently for 25 min. Pour through a strainer into a bowl. Stir mixture in strainer to push out the most liquid. 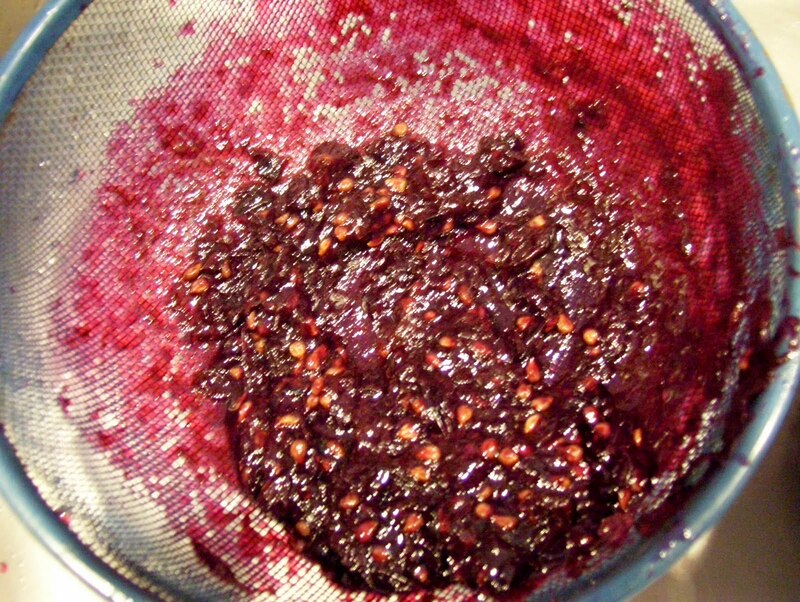 Scrape the bottom of the strainer to get all of the grape goodness. Stir grape jam bowl to mix evenly. Pour hot grape mixture into sterile glasses or jars. Seal with paraffin as directed by package or refrigerate covered with a lid. 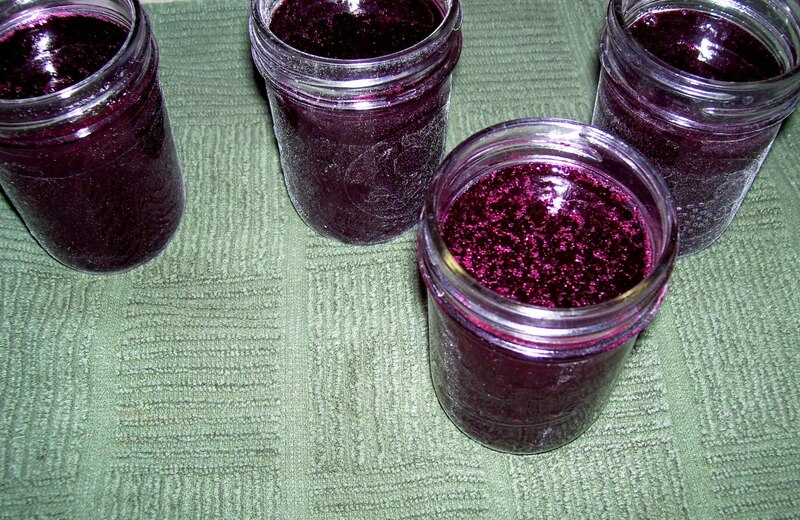 You do not have to seal the jars if jam is to be refrigerated. Do not double recipe.